Alan Galbraith originated from Nelson, before settling in Wellington. In 1966 he joined the Sounds Unlimited and one of their singles in 1967, "Either Way I Lose"/"One Way Love" was billed as Alan Galbraith with Sounds Unlimited. In 1967, the Sounds Unlimited was probably the loudest band New Zealanders had ever heard and this got a little too much for Alan, so he left. 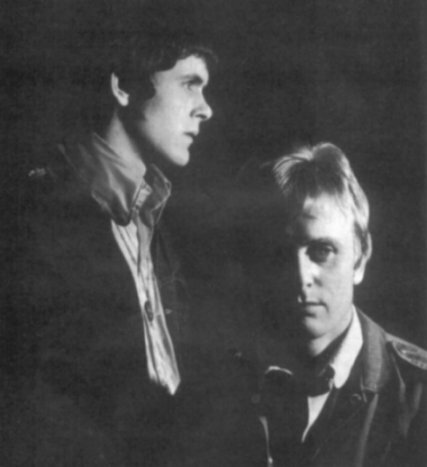 In 1968 he shifted to Auckland and formed a duo with Ken Murphy, calling themselves the Real Thing. Ken had been playing with a Hamilton group called the Trends, who would evolve into Music Convention after Ken left. The Real Thing released one single in 1968 called "Walking In The Rain"/"Lullaby To Tim" on the HMV label. At the same time Alan moved into the business side of the industry and began working as an HMV sales representative. In 1969 he returned to Wellington to work in the HMV warehouse. He released a solo single the same year called "Serving A Sentence Of Life"/"Rose Growing In The Ruins", also on the HMV label. In the early seventies only HMV had their own recording studio, and with producer Peter Dawkins at the helm, they began releasing a large number of New Zealand recordings. Alan Galbraith was moved in to assist Dawkins in the production of a number of groups. In 1970 he undertook some part-time performing on television's 'Music Makers'. He released another single in 1970, which was his own composition. Called "The Old Man", he was back by Garth Young's Orchestra. This same song was entered into the 1971 "Studio One" competition, where it gained first prize, sung by Eddie Low. In February 1972 Alan sailed to England, singing on the way, and secured a job with EMI's A&R division. He only stayed there 12 months and returned to New Zealand to continue full-time production duties at HMV, just before they changed their name to EMI in April 1973. Using the resources at his disposal, Alan released one last single in 1974, called "Homburg"/"Backdoor". During his time with HMV / EMI, Alan launched a number of successful careers for some of New Zealand's top artists. In 1970, David Curtis came to the attention of Alan as a 13 year old school boy from Wellington. Alan heard an acetate of David singing four current pop songs, backed simply by a guitar. It was good, but the commercial value was still unclear. Alan persevered with David and a few weeks later he was a star. He also recognised the talents of Sharon O'Neill and signed her up to a deal. One of his biggest signings was in 1974, with Mark Williams. He produced his three EMI albums and even became his manager. When his EMI contract was about to expire, Mark decided to move to Australia, following Alan and joining him at the CBS stable. In 1975 and 1976 Alan was awarded "Producer Of The Year" for his work on Mark's albums. At CBS he continued to produce Mark's new albums.